This premium-quality Fabric Shower Liner cleans easily by simply tossing it into a washing machine. With basic care, this liner will resist mildew and stains, and its durable grommets are rustproof. The weighted hem helps keep the liner in place so it doesn't blow in against your legs. 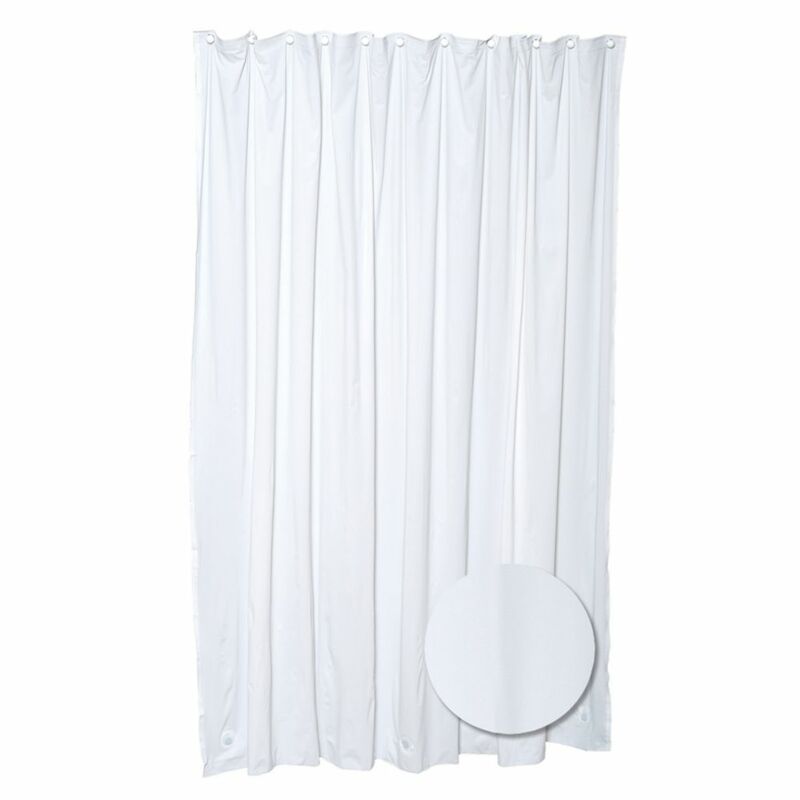 Heavy Gauge Shower Liner - White Complete your bathroom with a functional Heavy Gauge 72 in. Shower Curtain Liner in Clear. The clear colouring of this PVC/Vinyl Shower Liner will match well with any bathroom decor. To keep your shower area extra clean, the liner is mildew resistant. Heavy Gauge Shower Liner - White is rated 5.0 out of 5 by 1. Rated 5 out of 5 by 8771MJ from keeps the water off the floor use for fast roof leaks if you ever need to for a short breather.patch quick,short term a day or so.thanks. Are there magnets in the curtain to keep it &quot;attached&quot; to bathtub??? ?